Give your users a seamless experience in booking trucking facility from both the native apps; iOS and Android. Your trucking app will have all the right ingredients to serve your users. The Linked General Transit Feed Specification (Linked GTFS) is a mapping of the GTFS in CSV reference towards RDF. Northern Transportation Company Limited, which began as Northern Waterways Limited, was a transportation company that assisted in the radium and uranium mining on Great Bear Lake (Prince of Wales Northern Heritage Centre). The company had little assets including two barges and a tugboat. They were acquired by White Eagle Mines in 1934 and their name was changed to Northern Transportation Company Limited (NTCL). In 1936, NTCL was acquired by Eldorado Gold Mines Limited, which also used NTCL to service their mining sites. In 1937, NTCL purchased steel hulled boats for transport. 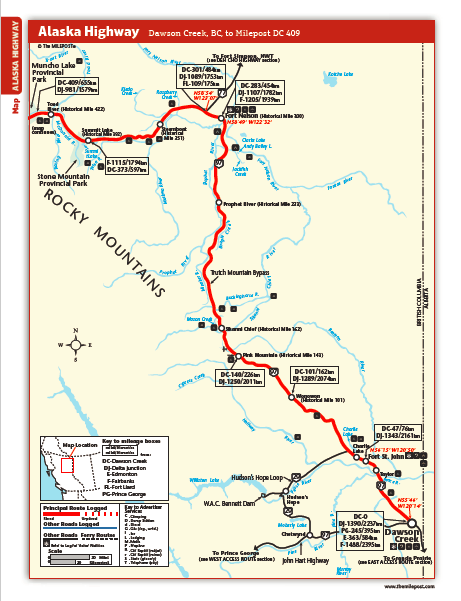 An Eldorado mine closed in 1940, so NTCL began working on the Canol Project in 1942 to transport materials to build a new pipeline. In 1944, the Canadian government took control of NTCL and the company became the main transporter of uranium ore. NTCL took control over the Hudson Bay Company’s transport system in 1947. NTCL also assisted with construction of the DEW line. NTCL was sold to the Inuvaluit Development Corporation and Nunasi Corporation in 1985. NTCL’s main fleet was located at the Port of Hay River in 2015. NTCL was responsible for providing goods to 22 communities through specially designed shallow barges (Government of Canada). NTCL declared bankruptcy on December 30, 2016 and were acquired by Alvarez and Marsal Canada Inc.( Alvarez and Marsal Holdings, LLC). References: "1934 Northern Transportation Company Limited." Historical Timeline of the Northwest Territories. Accessed May 05, 2017. http://www.nwttimeline.ca/1925/NTCL_1934.html. "Northern Transportation Company Ltd." Alvarez & Marsal. January 03, 2017. Accessed May 05, 2017. https://www.alvarezandmarsal.com/NTCL#intro. "Northern Transportation Company Limited." June 22, 2015. Accessed May 05, 2017. Which brings us to the biggest lesson from this survey: If you're mad at an airline, don't complain only to the airline. Complain to the Department of Transportation, too. The Alaska Highway was originally constructed for and used by the military during World War II which lasted from 1939 to 1945. It was opened in November of 1942. Its length reached nearly 1,525 miles. 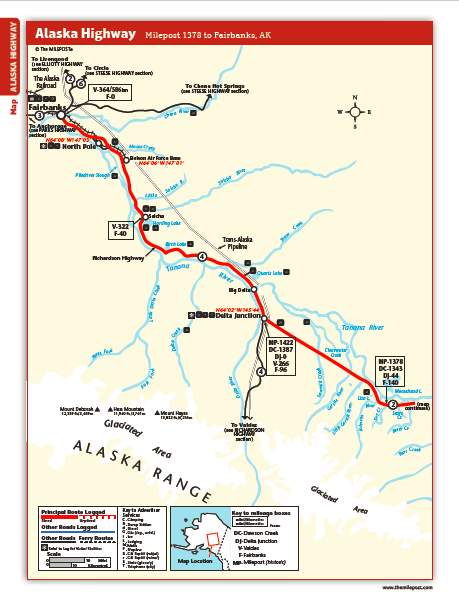 When Richard Bucksar wrote his article The Alaska Highway Development published in the journal Arctic Volume 27, Number 1 in 1974, the Alaska Highway had not been paved in its entirety despite many proposals to do so. In 1974, it remained mostly a gravel road described as “rough and uneven” (Bucksar 1974, 74). About 400 of the 1,525 miles were paved. 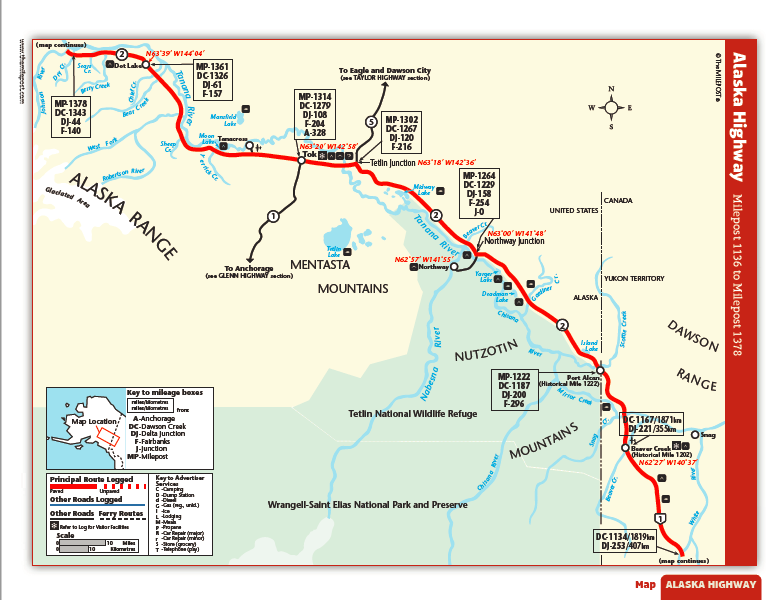 Since the Alaska Highway passes through Canadian territory to connect the continental United States to Alaska, both country’s governments had to be consulted regarding improvements to the Alaska Highway. The Canadian Parliament and United States Congress were presented with numerous proposals to improve the Alaska Highway including improving the road, developing railways, introducing new sea-routes, reconstructing, paving, etc. (Bucksar 1974, 74-75). Mostly all of these propositions were not passed since alternate “adequate modes of transportation were developing and that the expected traffic on the [Alaska] Highway did not warrant reconstruction and paving at that time” (Bucksar 1974, 78). The Alaska Highway was the only land-based link between Alaska and the continental United States. 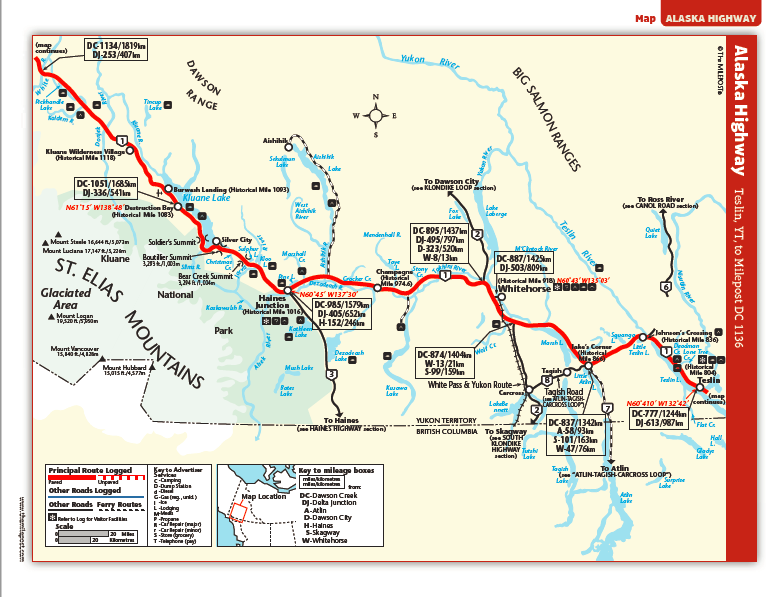 Some towns, cities, and other landmarks that the Alaska Highway passes through include Dawson Creek, Fort Saint John, Fort Nelson, Muncho Lake Provincial Park, Liard River Hotsprings Provincial Park, Watson Lake, Teslin, Whitehorse, Halnes Junction, Beaver Creek, Delta Junction, North Pole, Fairbanks, and many more. 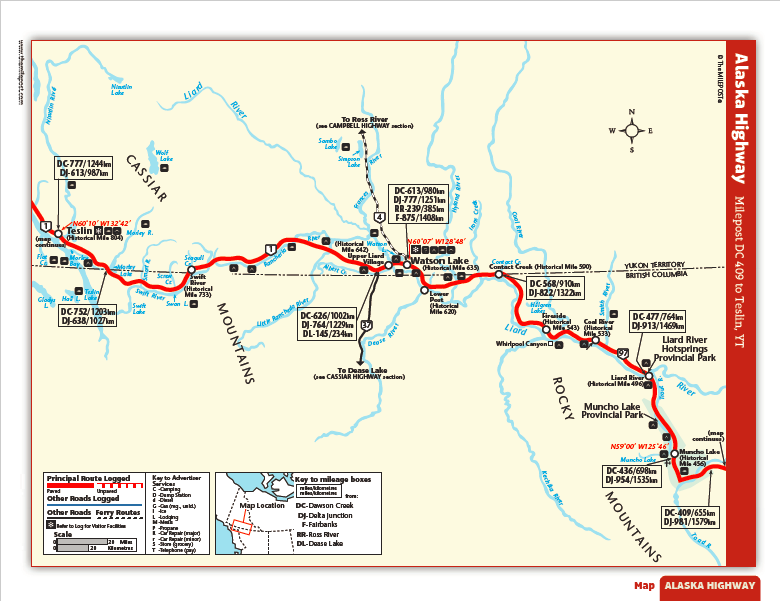 A detailed current map of the Alaska Highway is displayed below. The Milepost. Alaska Highway. 2016. https://www.themilepost.com/highway-info/highways/alaska-highway (accessed April 4, 2017). Bucksar, Richard G. "The Alaska Highway Development." Arctic 27, no. 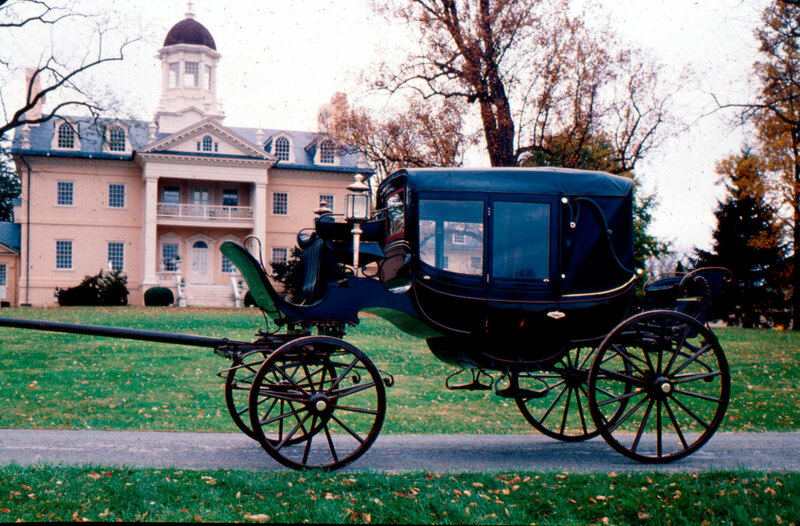 1 (1974): 74-80. http://www.jstor.org.ezproxy.bucknell.edu/stable/40508483. n 1980, when a transit strike halted buses and subway trains throughout New York’s five boroughs, residents in some of the most marooned parts of the city started using their own cars and vans to pick people up, charging a dollar to shuttle them to their destinations. Eleven days later, the strike ended, but the cars and vans drove on, finding huge demand in neighborhoods that weren’t well served by public transit even when buses and trains were running. The drivers eventually expanded their businesses, using thirteen-seat vans to create routes in places like Flatbush, Jamaica, Far Rockaway, and downtown Brooklyn. Transportation studies put the annual cost of congestion at $160 billion, which includes 7 billion hours of time lost to sitting in traffic and an extra 3 billion gallons of fuel burned. There are approximately 65 airports in El Salvador. However, only Aeropuerto Internacional de El Salvador, located 44 kilometers (27 miles) outside of San Salvador, handles international traffic. I find that this weird, seeming that is a ton of airports, but there still is only 1 international airport. Public buses are the most common form of public transportation in El Salvador. This is pretty cool, seeming that not a lot of places actually have public transportation. 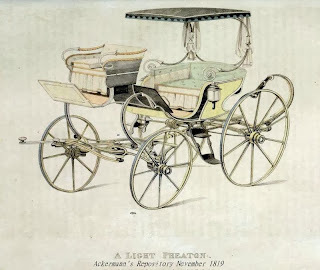 An extension of the phrase a hackney horse, a "horse let out for hire; depreciatively, a sorry or worn out horse; a jade" (OED). 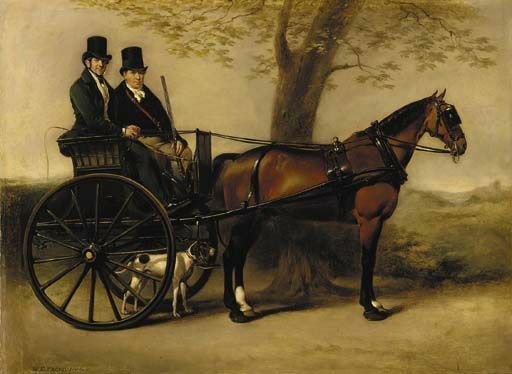 'Post-chaise' refers to a "horse-drawn, usually four-wheeled carriage (in Britain usually having a closed body, the driver or postilion riding on one of the horses) used for carrying mail and passengers, esp. 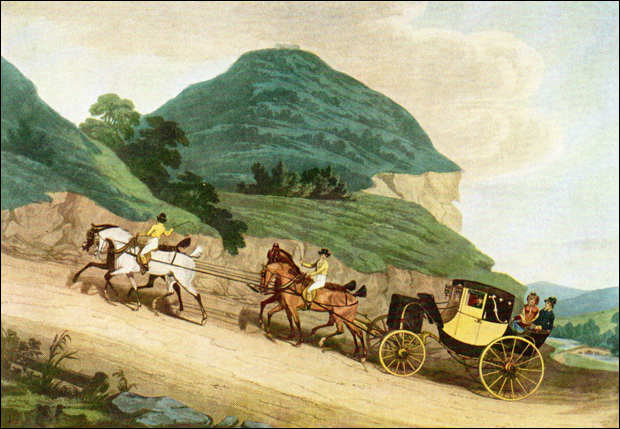 in the 18th and early 19th centuries" (OED). 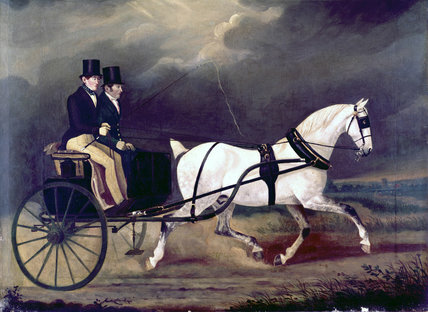 Therefore, 'hack post-chaise' means that the entirety of the post-chaise was hired and not owned. The traffic death toll in 2015 exceeded 3,000 a month. Car crashes are the leading cause of death for Americans between the ages of 1 and 39. I only skimmed this, but I think I got the point. You move more people faster on escalators when none of them are reserved for walking -- simply because not enough people are willing or able to walk. If you have walking lanes, they are under-used, and the standing lanes are over-crowded. The selection of this ferry route allows for an analysis and understanding of island rhythms because people have a choice in taking the ferry or highway. Without an alternative route people on the islands would use the ferries out of necessity. 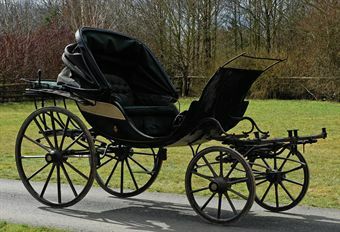 As an alternative route, the Mill Bay makes it possible to examine transportation preferences.